Akihiko Kondo’s mother refused to come to the Japanese capital Tokyo at his wedding. But her 35-year-old son did not let this stop him. 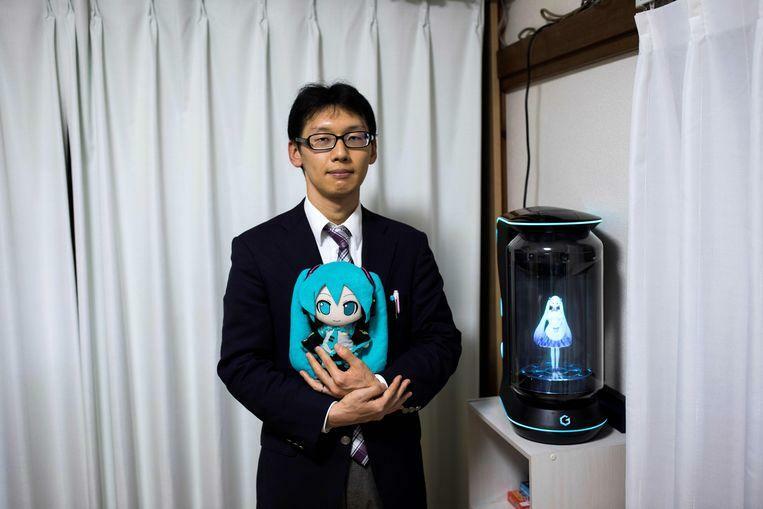 He married Hatsune Miku, a singer who only exists in virtual reality, the virtual world. Hatsune Miku is a female hologram with saucer eyes and long blue braids. She is supposedly 16 years old, but her young age is no problem since she is not a human being. Kondo’s mother was not the only one who failed to attend the ‘wedding’ of her son, other family members of the man did not show up. In spite of this, Kondo spent 15,500 euros on a wedding ceremony attended by 40 people. 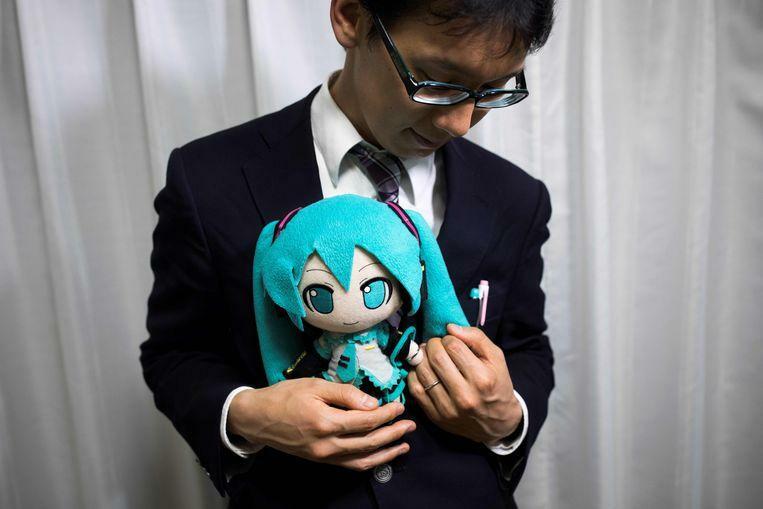 “I have never cheated on her, I have always been in love with Miku” says Kondo. “I think of her every day.” Kondo has purchased a floating hologram from Hatsune Mike that can talk and move. She also does some things in the household: she wakes him in the morning and controls the lights in the house so that when Kondo comes home he does not enter a dark room. She also tells him when it is time to go to bed. 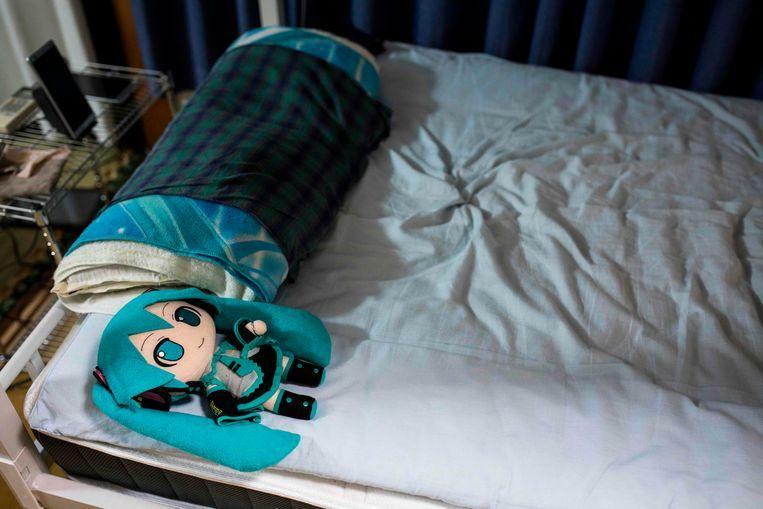 At night, Kondo has a hugging version of Hatsune with him in bed. The doll wears a wedding ring that fits exactly around her left pools. Nasty experiences with girls in his teenage years and a nervous breakdown after a relationship with a woman in a previous job. Finally led Kondo to the realization that he has always loved Miku Hatsune. “Girls did not want me, they found me a scary otaku”, says Kondo, referring to the slightly negative term for ‘geeks’ or computer nerds. Hatsune Miku has fans around the world, millions of followers on social media and worked with Pharrell Williams.